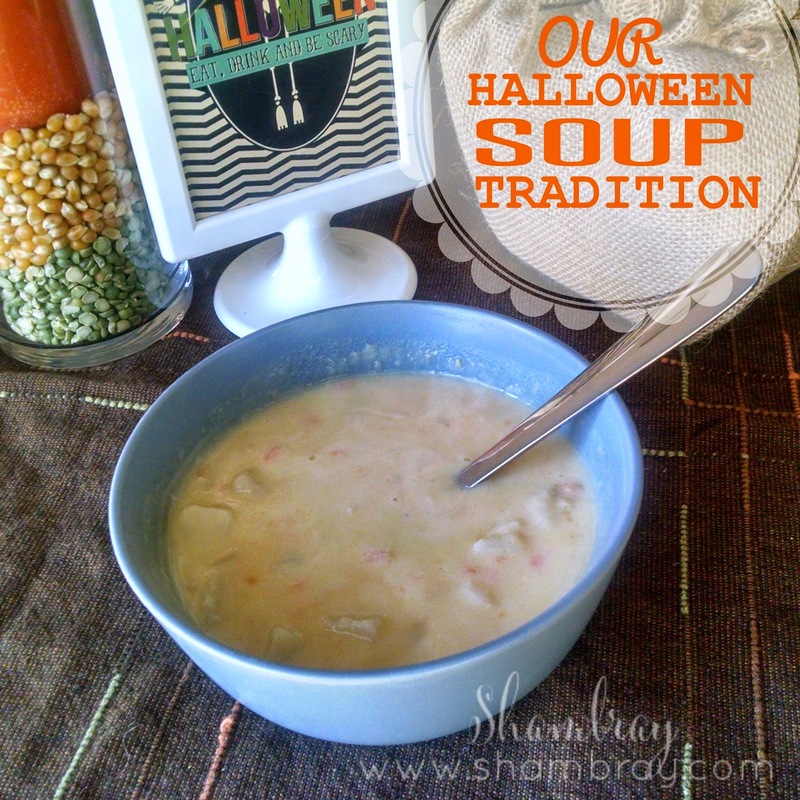 Every Halloween since I can remember my mom would make us soup. Not any kind of soup, but the same kind every year. She would make it before we went out trick-or-treating. When we were older she would make it before we went to parties. It was always there and I loved it! When I got married I made it for Ryan and thank heavens he loved it. He can be a little picky, so this made me happy! Since he loves it I have been able to continue the tradition with my little family. 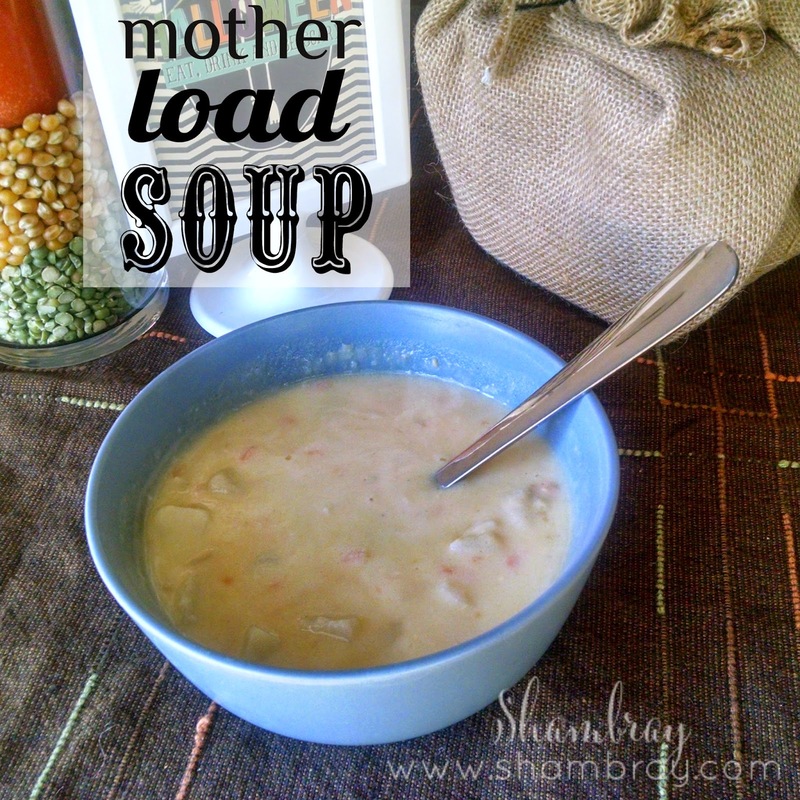 It is super simple and super yummy. Sometimes I have rolls or bread on the side, but sometimes I like to mix it up and have the soup inside a bread bowl. Whatever works, but the soup stays the same. I LOVE soup. I especially love it when it is cold because it warms me up. (I am cold all the time it seems.) Halloween is the perfect time because there is a nip in the air. So do you want the recipe? I think you do and I think you will love it. It is the best for picky eaters too. There really isn't a lot to it so even the pickiest eaters will love it. 2. Drain water and add: butter, Bisquick, pepper, red pepper, and paprika. This will make a thick paste. 3. Remove from heat. Gradually add chicken broth. Heat till boiling, stirring constantly for 1 min. 5. Add cheddar cheese. Heat till melted or read to serve. Told you it was simple! Happy Halloween! I want to hear your Halloween traditions now. What do you do every year? I am stopping by from the Frugal Friday Link Up Party! I love soup. This recipe looks super easy and super delish! Thanks for sharing. It is so easy! I hope you can make it and enjoy it. Hope you can come by this Fabulous Friday Party to share more of your amazing posts!